USAF Dojo-cho and instructors were recently asked to submit information regarding their dojo insurance carriers as well as their direct billing companies. This information is now available, and a detailed email has been circulated to all Dojo-cho. This is the beginning of the new resource center for USAF instructors where we will share, based on our own experiences, not just information regarding insurance and billing companies, but also where we shop for dojo supplies, who are our web developers or logo designers, our favorite kids class games, Q&As, and much more. Members of the USAF Board have undertaken extensive research into insurance options for USAF dojo. While no solution has been found yet that can cover the broad spectrum of our needs, we are talking with a company right now about a few possibilities and a brief questionnaire may be circulated shortly. As the success of this new resource is based on our group participation, thank you to all who provided the information which helped launch this exciting project. We each hold much knowledge based on our own personal experiences teaching Aikido and running a dojo, and exchanging this will create a wealth of information while supporting each other in our shared endeavors. Florida’s Winter Seminar was a perfect storm this year. All systems go – the weather, the Sensei, the etiquette discussion – the aikido group was charged with energy. Click here to view the pictorial account which gives you a true sense of magic on the beach. To give you some history about the seminar, Yamada Sensei began organizing the annual event in Florida in 1979. 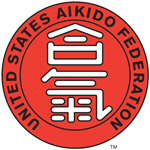 There was a small dojo in Ft. Lauderdale and he asked us to help him set up an end of the year meeting for the United States Aikido Federation with a seminar. The intension was to host the USAF meeting in Florida for one year and then it would move around the country. It never moved. We had a successful first year. And every year since Yamada Sensei says to me after the seminar “OK let’s do it here again. I want to come back next year”– 32 years later we are still here. I had the opportunity to interview Yamada Sensei at this year’s seminar to talk about the history of the Winter Seminar and his role in it. He told me that the event is a reflection of Aikido in the United States. We started with nothing, now we have 400 people on the mat! It is great to hear his account. Please enjoy the video moment with me. I also had the opportunity to interview each of the USAF Technical Committee – Harvey Konigsberg, Claude Berthiume, Peter Bernath, Donovan Waite, Bob Zimmermann, Steve Pimsler, and Andy Demko. Stay tuned and view see a mix of their interviews and their winter seminar classes. Every year the seminar gets better. Don’t miss out on the fun. See you next year! As ideas migrate they change as they stay the same. This seems to happen in much the same way that people pass on genetic characteristics. If one tribe with black hair intermarries with another tribe that has blonde hair then occasionally a recessive gene expresses itself and an atypical physical attribute expresses itself… but although this particular child may look different then the others s/he is still a member of the same tribe and the tribe retains its basic culture and identity. The concept of Budo is the result of a similar process of migration as an idea that starts in India, travels and transmutes through Asia, until it eventually arrives in Japan to be influenced by a Samurai world view. It seems to have begun when a man (Siddhartha Gautama/Shakyamuni) somewhere in Nepal decided to sit under a tree until he found “an end to suffering” (enlightenment). Legend says that this practice was carried to China by Bodhidharma where it intermingled with Taoism and where sitting is called Ch’an. Tradition stipulates that Bodhidharma sat facing a wall in a cave near a Shaolin Monastery for nine years. Although he was silent he left behind an iron chest with two texts. The first text disappeared but the second text, “The Muscle Change Classic”, became the guarded treasure of the monks who incorporated it into their martial arts practice. This association of Bodhidharma with the idea that spiritual, intellectual, and physical excellence are an indivisible whole necessary for enlightenment, proved highly attractive to the Samurai class in Japan. As the idea crosses the sea from the continent to the islands Japanese pronunciation transforms “Tao” to “Do” and “Ch’an” to “Zen”. As a warrior class Samurai were constantly aware of their mortality, a human condition that often leads to questioning the meaning of existence. They were particularly drawn to the Rinzai School of Zen because it was reputed to remove all fear of death via direct experiential transformation of consciousness. For a Samurai, fear of death was naturally a great obstacle, so such Zen practice had practical applications and became the philosophical basis of bushido. Bushido demands the willingness to face death. According to Zen principles, fear can only be truly conquered by eliminating the notion of self. It is from here that the migrating idea of the Buddha becomes the Japanese concept of Budo. The sword is known as the “soul of the Samurai”, and in Japanese mythology it was one of the three sacred gifts given to the emperor by the Sun Goddess. A Samurai’s sword was believed to be imbued with certain spiritual qualities of its owner. The forging of the blade itself was considered a religious ceremony, swathed in ritual, passed down in secret from father to son for generations. The ceremony was consistent, precise, unvaried, and beautiful — in action, dress, and color. Forging was often done at night and temperatures were set by holding the blade to the color of the morning sun. The exact hue was transmitted from master to apprentice down through centuries. The sword forging process itself became a metaphor for character development and many of the metallurgical processes parallel the tasks required for shaping the spirit. The concept of “tanren” is central to this theme. Tanren means to forge in the same way that a sword blade is forged, with hard work, and sweat, and many hours of dedication, folding together the hard and soft elements in the body, mind, and movement just as the sword gains its strength out of hard and soft steel. This is followed by “Renshu”. Ren means to polish, to perfect by continued practice. It also means to polish the spirit and character through the requirements of detail and interpretation. To demonstrate a compassionate nature that can pass on knowledge without egotistical pride and arrogance. Miyamoto Musashi, the legendary 16th century Japanese sword master, states in his “Book of Five Rings” that it takes 1,000 days to forge the spirit and 10,000 to polish it. So it came to be in more modern times (in Japan this could be seen as starting with the Meiji Reformation) that a primary goal of Budo was to develop character. The physical practice of Budo transcends the notion of sport. It transcends the idea of competition. It views self-defense in a much more sophisticated way. Because of such a great promise there are high expectations. Wherever there is a great height there is the danger of a great fall. This is as true with abstract ideals as it is with concrete reality. There is the “talk” about the ideals of Budo and the “walk” of the path. Disappointments and errors occur along the journey and the fall is accompanied by sadness and doubt. But part of the training in Budo is to learn how to fall and arise from the throw ready to continue. Consequently one must remember that there is “no escape” and readjust the keikogi and return to “fight the good fight”. This doesn’t mean that the experience hasn’t left feelings of doubt and discouragement. These are the challenges (physical and psychological) to training and living. They are the heat and the hammering that represents the forging of character. This is the difficulty of living with integrity in the “real world” and the hardships experienced along the way. These are the requirements for forging a blade that “never bends, never breaks, cuts clean”. Yukio Kawahara Shihan, 8th dan, the technical director of the Canadian Aikido Federation, a direct student of O Sensei and a very gifted, very generous and gracious man, passed away late on June 2nd. According to the shidoin who phoned me, he was surrounded by his students. I’ve tried to blog about Sensei several times, and I always end up deleting the entry. He was a private man by choice and never sought the limelight. He was also careful about his legacy and cautious about what he taught to whom. He was a strong advocate of practice, and I think he considered our practice more important than any ceremony directed at himself. It’s only been 4 years since I started learning your Aikido. Aikido has been one of the best things that have happened to me in my life. My earliest memory of Aikido came from, of all places, Sesame Street. There was a very short video clip of an aikido demonstration performed by two kids. I was already mesmerized by the miracles of the television. This little video stayed engrained in me. So, here I am many, many years later. I’ve grown to adulthood and have a family of my own. What do I run into but Aikido. What a blessing it has been! Don’t get me wrong, it wasn’t a pretty start. My very first attempt at Aikido was terrible. I entered the dojo and went to a few classes. Things just didn’t go right at first. I couldn’t do rolls without getting very dizzy. I became so ill that I could not continue my aikido training at that time. A few years later, I ran into a cousin, who was studying Aikido as well. This peeked my interest once again, so much so that when I got home I looked up the local Aikido Dojo and signed up. I feel very lucky to have met the instructors of this dojo (Southern Maryland Aikido Center). They are the nicest couple. Yes, they are a husband and wife team of Aikido Instructors. They made all my past Aikido issues go away; leaving only the pure joy of Aikido. Donna and Darrell are teaching us (my fellow Aikido students and me) the beauty and power of Aikido. They are the best of examples for our young dojo. The future of Aikido in our little part of the world is safe. So, as I was saying I’m very new to Aikido. I attend Aikido classes almost every day the dojo is open. I’ve also been able to attend some of the local seminars. Aikido makes me feel great inside. I have a yearning to learn more as I progress. I see the beauty of Aikido; the graceful movements of uke and nage blending. I thank O-Sensei for sharing his creation with us. He has changed countless lives and now my life can be added to that list as well.